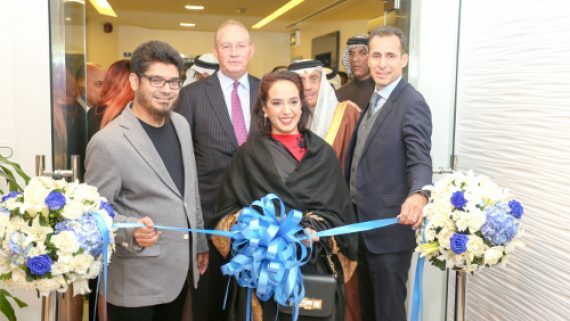 The KKT Orthopedic Spine Center opened Monday, 6 February 2017 in Seef District under the patronage and presence of Her Highness Sheikha Hessa bint Khalifa bin Hamad Al Khalifa. KKT is a global leader in pain management based on the latest methods of treating chronic pain in the bones, spine, back, neck, joints, nerves, headaches and arthritis using ultrasound and without surgical intervention. KKT currently supervises 24 new pain management centers in 12 countries, 12 centers with comprehensive spine rehabilitation services and 12 clinics of leading medical institutions. KKT was founded in 2003 by Aslam Khan, a global pain specialist, in collaboration with other spinal columnists, biomechanists and researchers over the past 15 years. The KKT treatment program was established as an alternative treatment for surgical intervention and medication.